NEW DELHI: Pilots of nearly crippled Jet Airways threatened to stop working from April 1 if the resolution plan is delayed and salary dues are not cleared by the end of this month. The decision was taken at the annual meeting of Jet Airways domestic pilots body National Aviators Guild after a meeting here lasting for over 90 minutes.The guild, which came into being almost a decade ago, represents around 1,000 domestic pilots at the airline. "If there is no proper clarity on the resolution process and salary payments, by March 31, we will stop flying from April 1," the guild said. The pilots and other senior staff have not been getting their full salaries since December last. After failing to get any assurance from the management on salaries, the guild last week had written to Union Labour Minister Santosh Gangwar, seeking his intervention. Meanwhile, aviation minister Suresh Prabhu Tuesday also directed his secretary to hold an emergency meeting on the debt-ridden airline that has been cancelling flights abruptly following grounding of a large part of its fleet. Several angry passengers were seen demanding pending refunds for cancelled flights at Jet's offices in Mumbai earlier on Tuesday. The airline's pilots union has also said that pilots have decided to stop flying from April 1 if Jet does not have a rescue plan in place by March 31 and does not provide a proper roadmap on paying their overdue salaries. "It is not about the salary right now, it is about whether we are going to survive," one pilots told correspondents. As the Jet's future still hangs in balance, there has been behind-the-scenes support from the government indicating that a bailout is likely to take place. The government has asked state-run banks to rescue this privately run airline without pushing it into bankruptcy, as Prime Minister Narendra Modi seeks to avert thousands of job losses weeks before a general election, sources said. 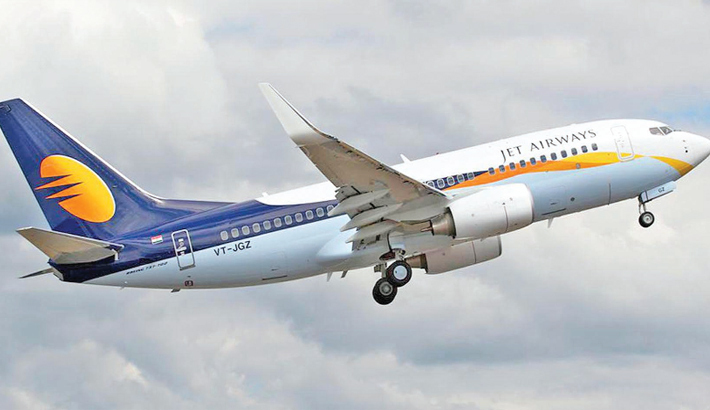 The Director General Civil Aviation ( DGCA )said with the current fleet, Jet is likely to operate only about 985 flights a week or 140 flights a day - down from an average of about 650 flights a day in March 2018. The regulator also said that Jet's pilots, cabin crew and ground staff who have reported any kind of stress should not be put on duty, and the airline should carry out regular maintenance of its aircraft even if they are currently grounded. Minister Prabhu, in a separate statement, asked officials to continuously monitor the situation on Jet and ensure public interest and safety.